David the Elf made his triumphant return this morning, much to the delight of F&B. 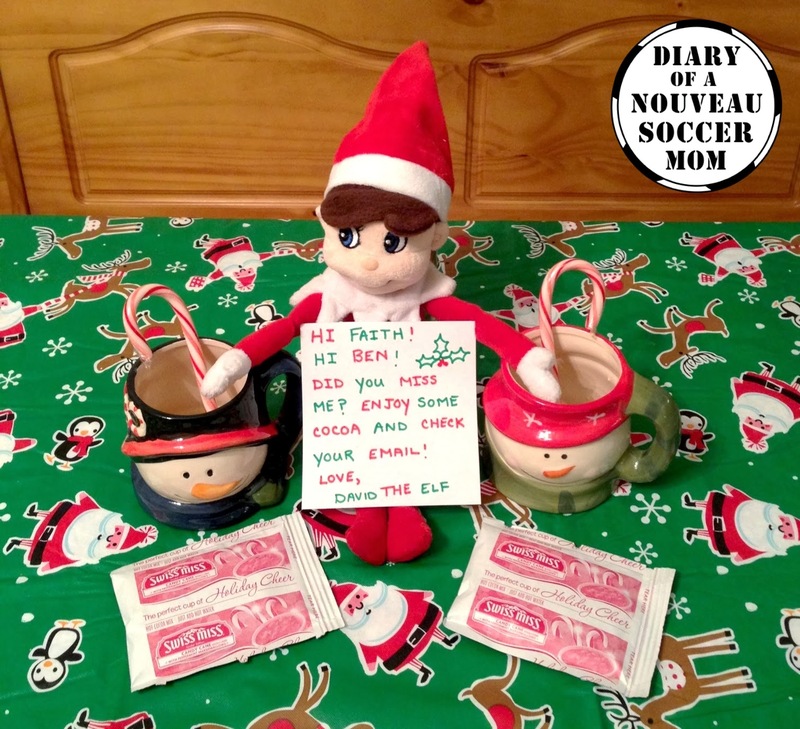 He brought new snowman mugs, cocoa, candy canes and a note for them, which told them to check their email. I wonder why??? While you sleep and dream. Check your email each day. Of me at work and play. The kids are thrilled! 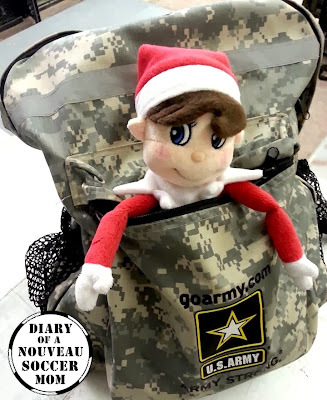 Daddy has his very own elf deployed with him who will email them with pictures and notes every day. 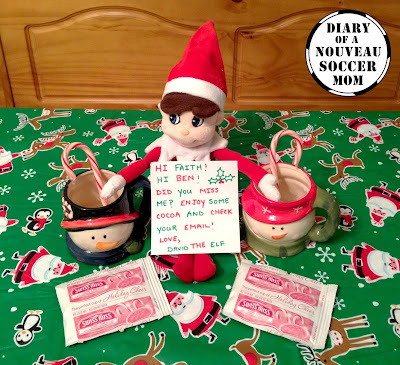 I wonder what kind of mischief this elf will get into?